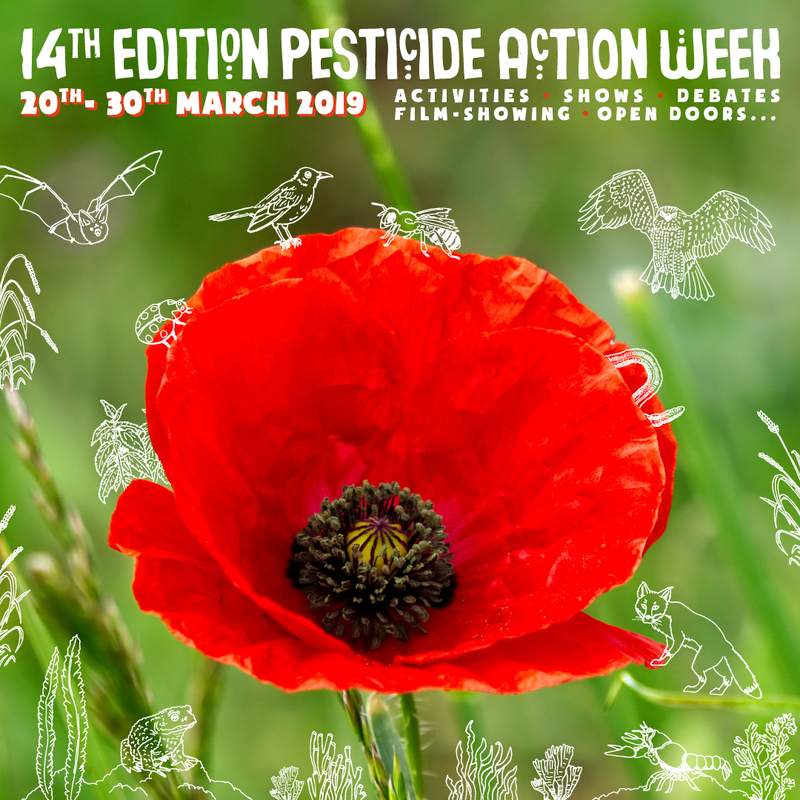 14th Pesticide action week : join us for the 2019 edition! For over 20 years, the French organization “Generations Futures” has been working on the issue of chemical pesticides. We make advocacy to warn about the danger of pesticides for the health as well as the environment. Our aim is to guide public policies and to raise awareness among citizens. After the success of the 13th edition who gathered more than 1 000 actions in 18 different countries, we invite you to join us for the 14th edition from 20th to 30th March 2019. 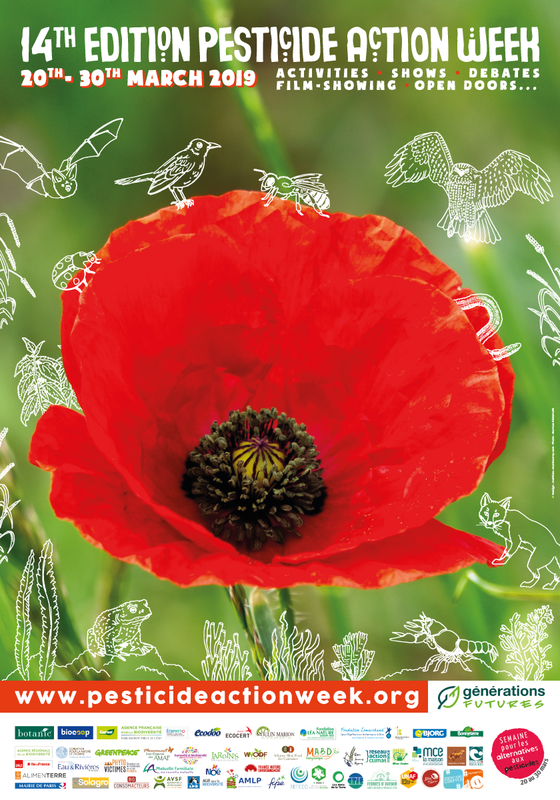 The topic of 2019 is biodiversity. 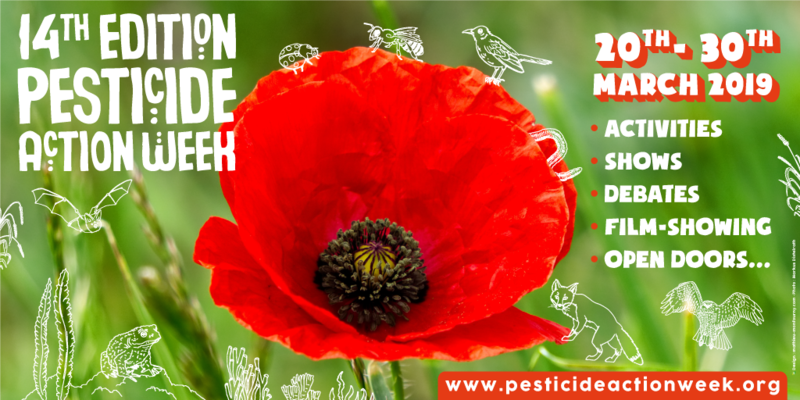 If you are a citizen or an NGO representative, spread the word in your network and join the Pesticide action week by organising an event. If you are organizing an event that fits the topic of the week (alternatives to chemical pesticides and/or biodiversity), you can register it now by filling in the form. 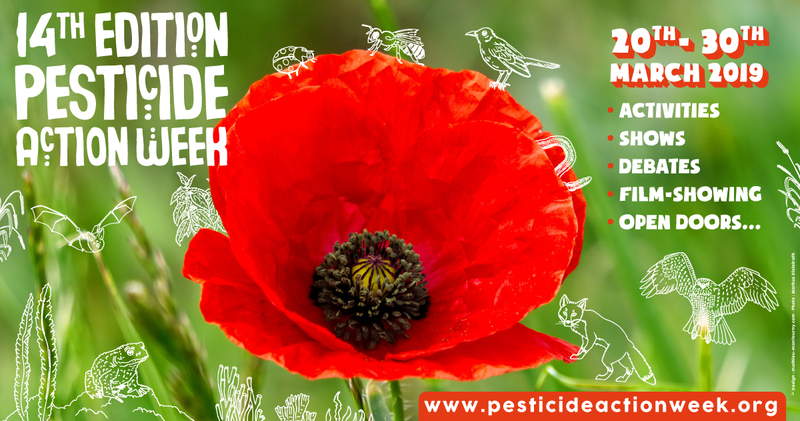 Joining the Pesticide action week will bring you a bigger visibility. Our association will communicate about your event through its website and its social networks.